"New Jersey Births and Christenings, 1660-1931." Index., Salt Lake City, Utah: FamilySearch, (2009, 2010) , FHL Film Number: 494183. Charles H. Woodward was born on June 30, 1852 in Wilmot, Merrimack County, New Hampshire. Compared with Europe this country can boast of but few "characters" in the old booktrade. Eccentric, ignorant, rude and untidy specimens there have been enough, but "originals," such as Raquin, Pere Malorey, Lecureux, Morgand, Conquet, Lackington, Darton, Salkeld, to mention but a few French and English notables in the Brotherhood of Books, have been exceedingly few in this country, and are now as extinct almost as the dodo. Charles Lowell Woodward was born on August 20, 1833 in Waterford, Oxford County, Maine, his childhood being spent in the towns of Waterford and Oxford. From his earliest boyhood he was impatient to read, having inherited his taste for books from his father, Caleb Woodward, a staunch abolitionist and lover of books. When about fifteen years of age, Woodward went to Boston, and took a position in a drug house. In 1853 he became infected with the gold fever and went to California, making the journey by way of the Isthmus, and living for several months at the notorious Poverty Hill. In the following year, while helping to build a well and being lowered into it, he fell and fractured his ankle. This put an abrupt end to his California career, and in 1855 he returned to Boston and again went into the drug business. During the war between the States he was at Philadelphia. Being debarred from active service at the front on account of his broken ankle, he identified himself with the New England Society in aiding sick soldiers and the families of the soldiers who had lost their lives. His spare hours were spent in the book shops and in collecting more books. In 1864 he went to the oil fields of Pennsylvania. While there a flood rendered him homeless. He saved two trunks—one contained books. In 1865 he removed to New York City, and became an agent for Bradstreet's Commercial Agency. Later he joined the staff of Dunn, Barlow & Co. He became more and more interested in books, and fairly haunted old book shops. His home was littered with books, especially with books relating to the early history of America, to Washington, Lincoln, slavery, etc He bought whole collections at a time and pored over them during the night, very often until dawn, collating and studying them. During this period—1865-1879—he became interested in books relating to the Mormons, and made the collection that formed the nucleus of the Berrian library that in 1899 was presented by Miss Helen Gould to the New York Public Library. Mr. Woodward sold this collection at auction in 1880, the catalogue being entitled "Bibliotheca Scallawagiana." Mr, Woodward also wrote a book on Mormonism, but did not publish it. In 1875 Mr. Woodward took rooms at 78 Nassau Street, one flight up, and started in the book business. He continued at this place for nearly thirty years, until ill health obliged him to give up business. 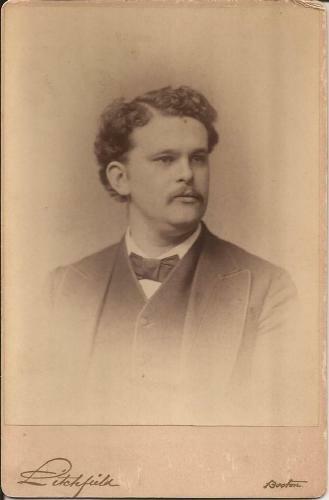 During this time he bought and sold many rare books, and in his well-kept and well-swept shop were wont to gather many noted people interested in books and book gossip—Henry Cruse Murphy, Dr. George H. Moore, Dr. John Gilmary Shea, Henry B. Dawson, Samuel J. Tilden, J. Fairftx McLaughlin, Gordon L. and Paul Leicester Ford, Dr. Samuel S. Purple, Dr. Ellsworth Eliot, Colonel James, Dr. Samuel A. Green, of Boston, and many others. Dr. George H. Moore used to come in the afternoon and detain Woodward at his shop until nine o'clock and then accompany him on his way home, often sitting in the City Hall Park until midnight discussing bookish affairs. Charles lived in New York City, where in 1903 he owned the Antiquarian Book Store at 78 Nassau St. It was said his collection of rare American books was second to none in the country. A. G., "Charles Lowell Woodward", The Publishers' Weekly No. 1689 (June 11, 1904): p. 1489. The New York Times, New York, New York: The New York Times Company, , Jan. 13, 1900, p. BR8. She was the daughter of William Elliot Woodward and Clarissa Eliza Roys. "Massachusetts, Births, 1841-1915," index and images, FamilySearch (https://familysearch.org/pal:/MM9.1.1/FX4N-LKW : accessed 04 Dec 2012), Clarabele Woodward, 1859. Woodward, Clarence E, salesman 78 Midway, South Boston, householder at Somerville. Clarence married Rose Lee Castle. Woodward, Clarence E (Rose Lee) salesman. house 105 Holland. Woodward, Clarence E, clerk 69 Milk. householder at W Somerville. Woodward, Clarence E (Rose Lee) sales. house 203 Holland. Woodward, Clarence E (Rosa L) druggist. house 1 Mead. Woodward, Clarence E (Rosa L) druggist. house 81 Electric Ave.
Clarence E, assistant manager 77 Milk. householder at 81 Electric av, W Somerville. Woodward, Clarence E (Rosa L) assistant manager 77 MIlk. house 341 Union, South Weymouth. Madeline C. Woodward+ b. January 29, 1899, d. January 10, 1963;No other children. Massachusetts Vital Records, 1841-1910, , Vol: 261 ; Page: 262. Massachusetts. Boston, Passenger Lists of Vessels Arriving at Boston, Massachusetts, 1891-1943. Micropublication T843. RG085. Rolls # 1-454, Washington, D.C.: National Archives, , Microfilm Roll Number: 3. The Boston Directory, Boston, Mass. : Sampson & Murdock Company, , 1901. Malden City Directory, Boston: Sampson & Murdock Co., , 1906: p. 602. World War I Draft Registration Cards, 1917-1918, at http://content.ancestry.com, Registration State: Massachusetts; Registration County: Middlesex; Roll: 1674434; Draft Board: 3. 1920 United States. Bureau of the Census. 14th census, 1920 population census schedules, Washington, District of Columbia: The National Archives, ([193-?]) , Census Place: Somerville Ward 7, Middlesex, Massachusetts; Roll: T625_718; Page: 15B; Enumeration District: 455; Image: 417. 1930 United States. Bureau of the Census. 15th census, United States, 1930 federal census : population schedules ; NARA microfilm publication T626, Washington, District of Columbia: Bureau of the Census Micro-Film Laboratory, ([19--?]) 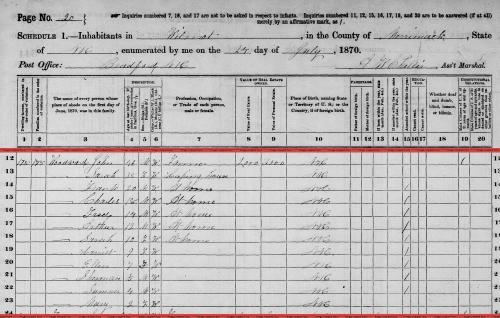 , Census Place: Weymouth, Norfolk, Massachusetts; Roll: 938; Page: 11B; Enumeration District: 145; Image: 435.0. Sixteenth Census of the United States, 1940, Washington, D.C.: National Archives and Records Administration, (1940) , Census Place: Weymouth, Norfolk, Massachusetts; Roll: T627_1634; Page: 14B; Enumeration District: 11-310. Online sources show the home at this address was built in 1940. Perhaps their earlier home was destroyed in the 1939 hurricane. Find A Grave Memorial# 66503410. Woodward, Clarence E. owner of C E Woodward & Co, druggist, 52 Bromfield, Boston. house 141 Walton park. Woodward, Clarence E. householder at 141 Walton pk. Woodward, C. Elliot, clerk 100 Tremont. house 18 Phipps ave.
Woodward, Clarence E. traveling salesman. householder at 141 Walton pk. On November 16, 1909, Clarence Elliot Woodward was mentioned on the death record of Marietta Clark Ames. "The body of the man killed when two automobiles came into collision at Bromfield and Tremont sts was identified at the Northern Mortuary, early last night, as that of Clarence E. Woodward, aged 60, a widower, of 141 Walton park, Melrose Highlands. He was a salesman. The identification was made by Waldo E. Pratt of 51 Abbott road, Wellesley Hills. 'Following the accident, the operators of both cars were arrested on charges of manslaughter. They are Arthur Short of Maple av., Brighton, and Thomas Ferris of Fisher av., Roxbury. Their cases in Municipal Court were continued for a week, bail being fixed at $1000 each. 'Clarence E. Woodward, with his brother, for many years conducted a drug store at 52 Bromfield st. He was a native of Roxbury. 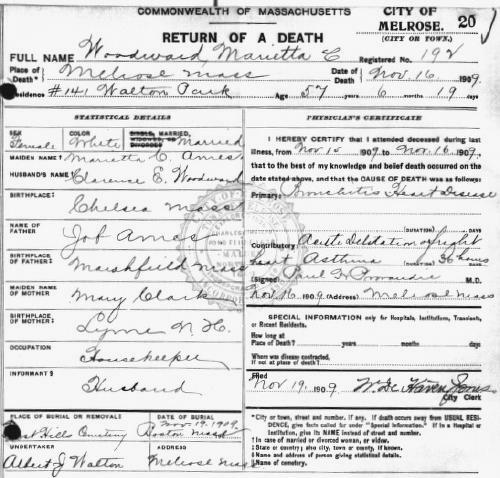 "Massachusetts, Births, 1841-1915," index and images, [ITAL:]FamilySearch (https://familysearch.org/pal:/MM9.1.1/FX4N-LKW : accessed 04 Dec 2012), Clarabele Woodward, 1859. Annual Report of the School Committee of the City of Boston 1870, 84 School Street, Boston: Alfred Mudge & Son, (1871) , p. 106. Boston Daily Advertiser, Boston, MA: , Friday, February 13, 1880; Issue 38; col E.
Clark B. Woodward was born on February 25, 1849 in Wilmot, Merrimack County, New Hampshire. 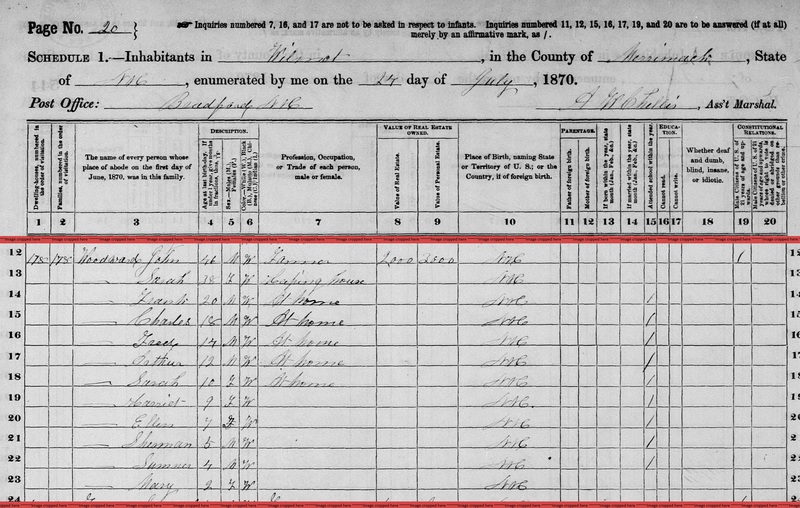 Clark married Lydia J. Andrews on July 2, 1870 in Wilmot, Merrimack County, New Hampshire.....Residence: Wilmot, N.H.
living at Warren, Grafton County, New Hampshire. 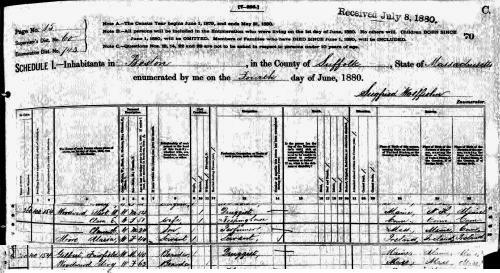 The birth record of Ralph Edson Woodward on June 2, 1882 lists the father as Clark B. Woodward.....Birthplace: Wilmot, N.H.
She was the daughter of Robert Burns Woodward and Eudoxia Belmont Muller. Donald Elliot Woodward lived at Fruitport, Muskegon County, Michigan. 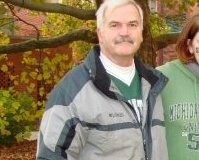 He was a State Police sergeant with the Ypsilanti post in 1985. Donald Elliot Woodward is online at https://www.facebook.com/don.woodward.397. Dora E. Woodward was born on July 12, 1898 in Grafton, Grafton County, New Hampshire. "Massachusetts Death Index, 1970-2003," database, FamilySearch (https://familysearch.org/ark:/61903/1:1:VZ5J-FTW : 4 December 2014), Doris E Woodward, 08 May 1979; from "Massachusetts Death Index, 1970-2003," database, Ancestry (http://www.ancestry.com : 2005); citing Hingham, Massachusetts, death certificate number 030335, Commonwealth of Massachusetts Department of Health Services, Boston.